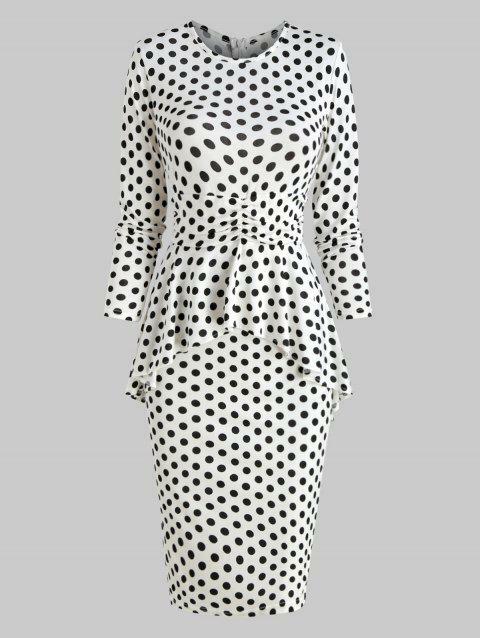 Exquisitely cut in a perfect bodycon silhouette, this peplum dress directly brings you a curvaceous figure. It features a classic round neckline, warm long sleeves, and an all over trendy polka dot print. The ruched accent at the waist is distinctive, and creates a slim effect.